Well, it seems crazy that 2017 is over and we are well into January already! 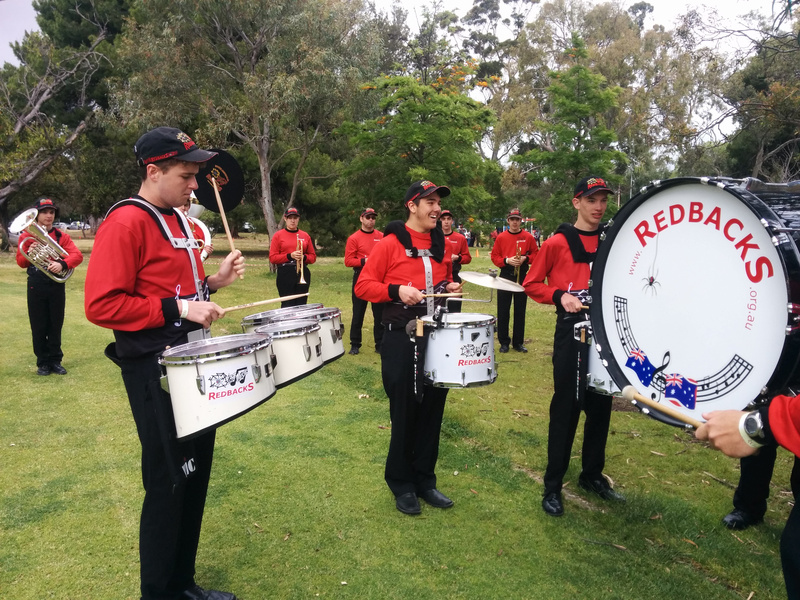 As per normal, it was a busy end to the year for the Redbacks, with pageants and carols services to play in. 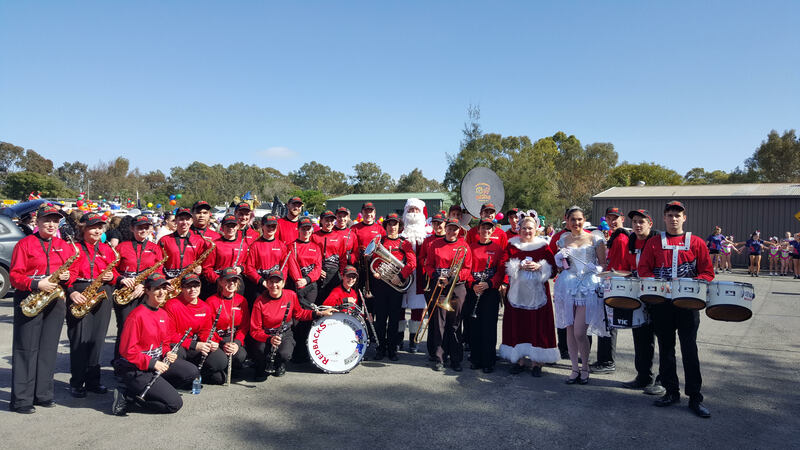 As usual, it was a huge thrill to play in the Credit Union Christmas Pageant, though the local pageants are always well attended and enjoyable to be part of. 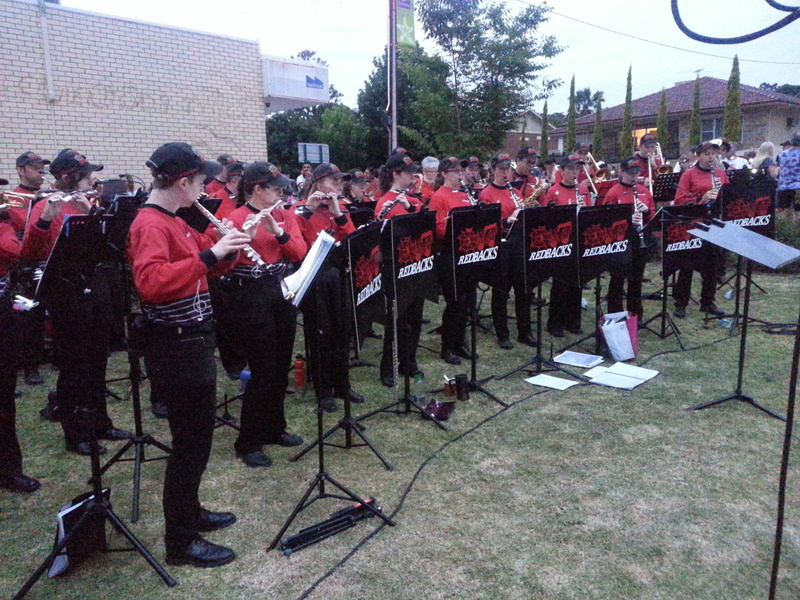 Playing at the Lobethal Pageant and then a set in front of the Bierhaus was a great way to finish off the year. After a well earned break, rehearsals will start again soon, with the first gig being the Loxton Mardi Gras in late February. Well, pageant season is well and truly underway. The Credit Union Pageant (or the ‘city pageant’ as it is referred to by the band) is the biggest gig of the year. Not many people get the privilege of playing in front of literally thousands and thousands of people. The atmosphere is really special. After a extra Friday night rehearsal, it was quite an early start to get to into town by 8. Luckily the organisers put on a good breakfast, which was enjoyed by many. 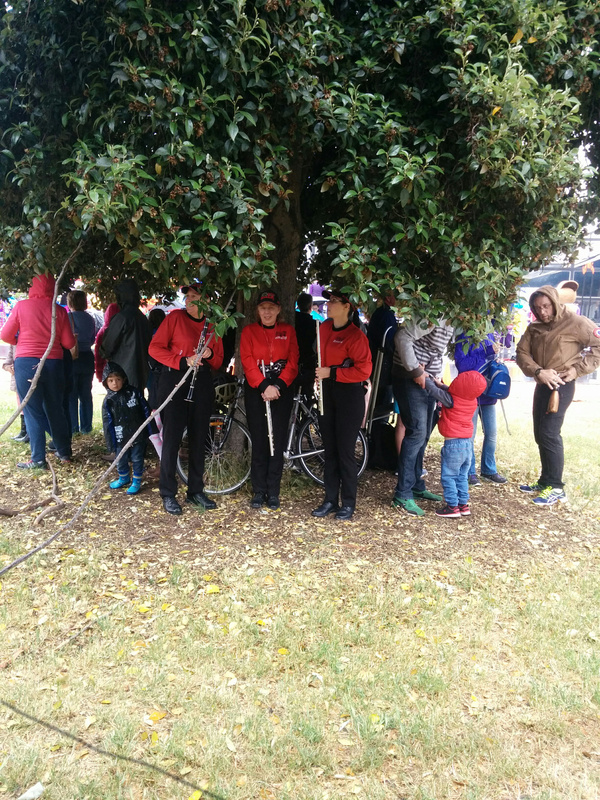 Other than that it was time to warm-up, catch up with old friends from other bands and, most of all, try and keep dry (for the first time that I can remember it rained during the waiting around). Thankfully, the rain stayed away once the pageant started. Though it was windy at times, we made it through to the end in one piece. 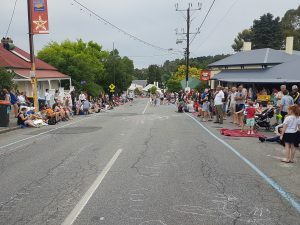 It was great to see and hear the excitement of the crowd. 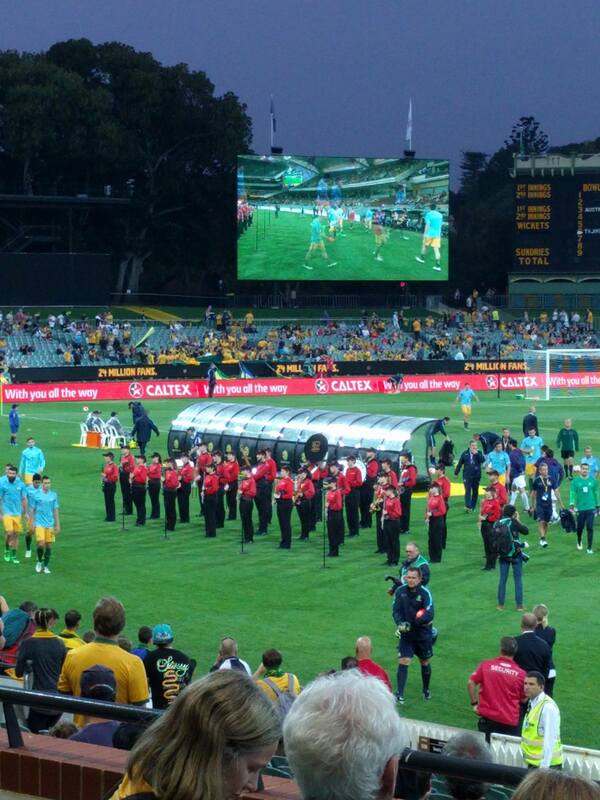 A special thanks also goes to the members of the Jess Dance Academy, who danced along with the band. Two down, three to go (plus a couple of carols by candlelight services) till the end of the year. After much rehearsal and practising, the night had finally arrived. 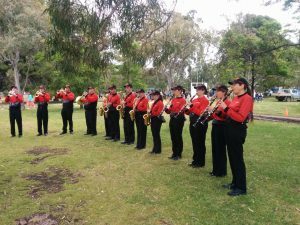 Over 250 people came to the Golden Grove Arts Theatre to listen and experience the Banksia Park Concert Bands Variety Concert. 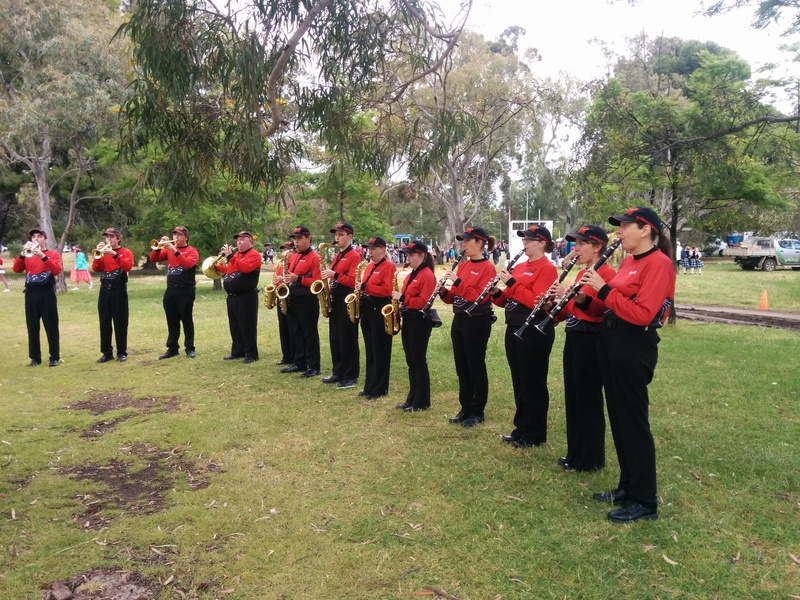 The night started in style with the Tea Tree Gully Concert Band having half of the players march into the auditorium, New Orleans style, whilst playing a classic swing number. 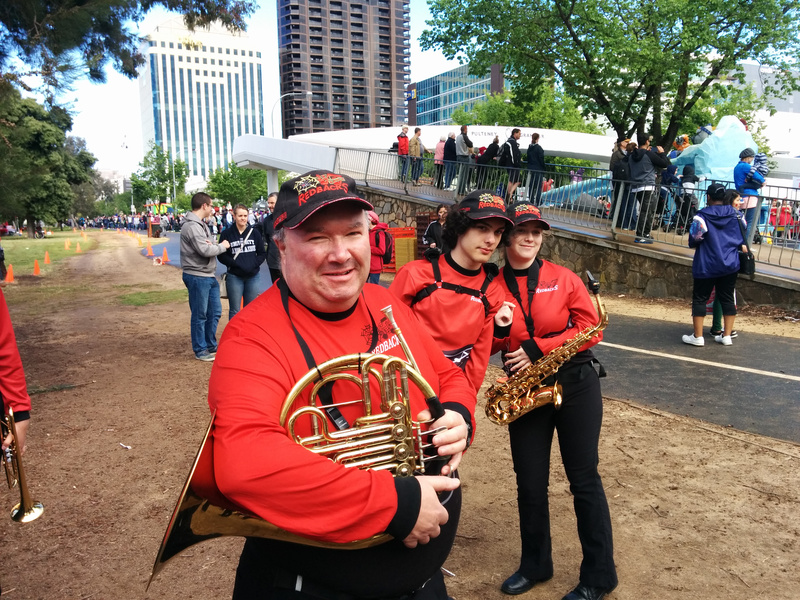 The concert lived up to its billing, with the program covering a wide range of music, from classical, to swing, music from movies and theatre, tunes with a Spanish influence and modern classics. One special feature was a moving tribute to recently deceased musicians Maurice White (Earth, Wind and Fire), Glenn Frey (The Eagles), David Bowie and Prince which brought tears to many eyes. Guest vocalists Rick Williams, Jeff Lang and Dianne K. Lang performed throughout the evening, adding their voices to the sounds of the bands and performances by Ballroom and Irish Dancers, as well as multimedia displays provided the eyes with as much enjoyment as the ears. The audience were seated around tables, with many bringing copious amounts of food and drink to share. This helped lend a relaxed feel to the night with a series of group games between each set adding to the buzz. Special thanks go to everyone who helped organise and run the event, especially the guest artists, compere, management and employees of the Golden Grove Arts Theatre and last but not least, the band members (especially those who played in both bands for the whole evening, a huge effort). 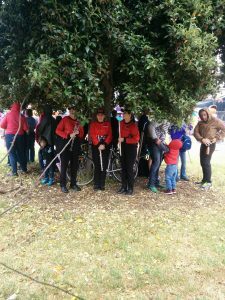 We are looking forward to planning a similar event in August next year! 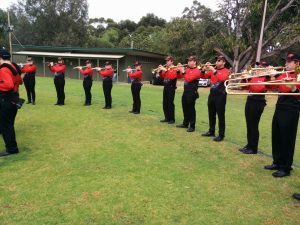 Plans for the upcoming Band Program Variety Concert are in full swing. The set list is (almost) complete and creative multimedia ideas are flowing thick and fast. 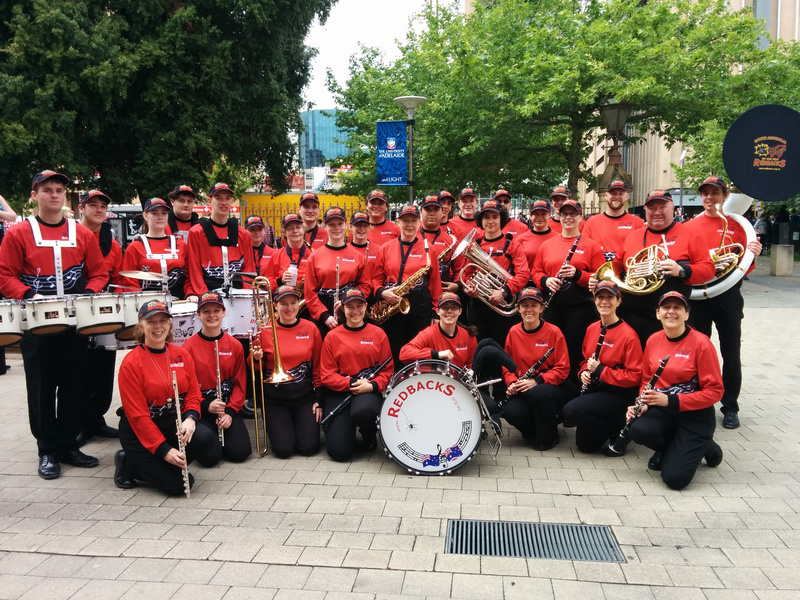 Most importantly, the Redbacks and The Tea Tree Gully Concert Band are busy getting the ‘chops’ and fingers into peak condition (a.k.a rehearsing) for the night! Full details are on the Variety Concert Event Page. Welcome to the Redbacks News Feed. It has been a busy first half of the year for the band! 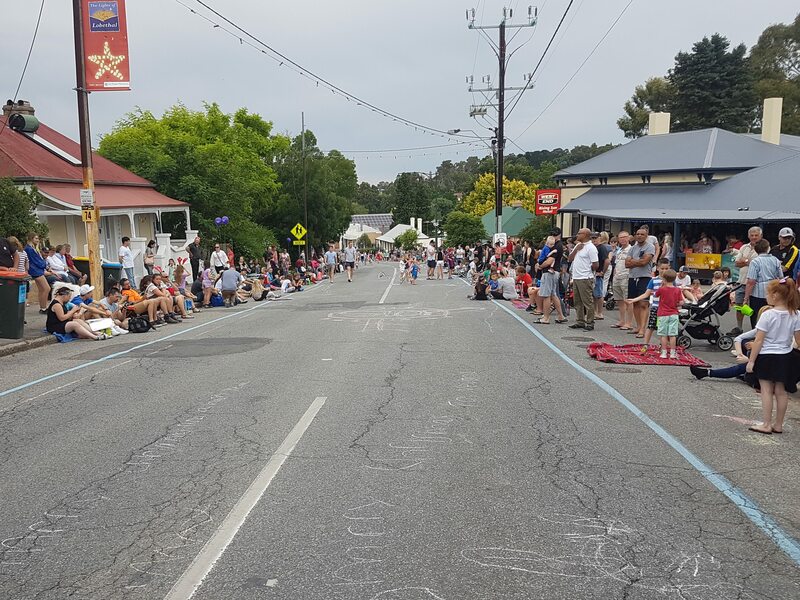 In February, we travelled to Loxton to provide entertainment for the town’s 59th annual Mardis Gras, a family fun day to raise funds for community projects. 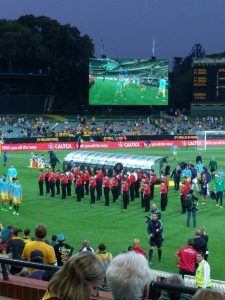 We enjoyed strutting our stuff on the hallowed turf of the Adelaide Oval as part of the pre-match entertainment for the Socceroos v Tajikistan World Cup qualifier in March. 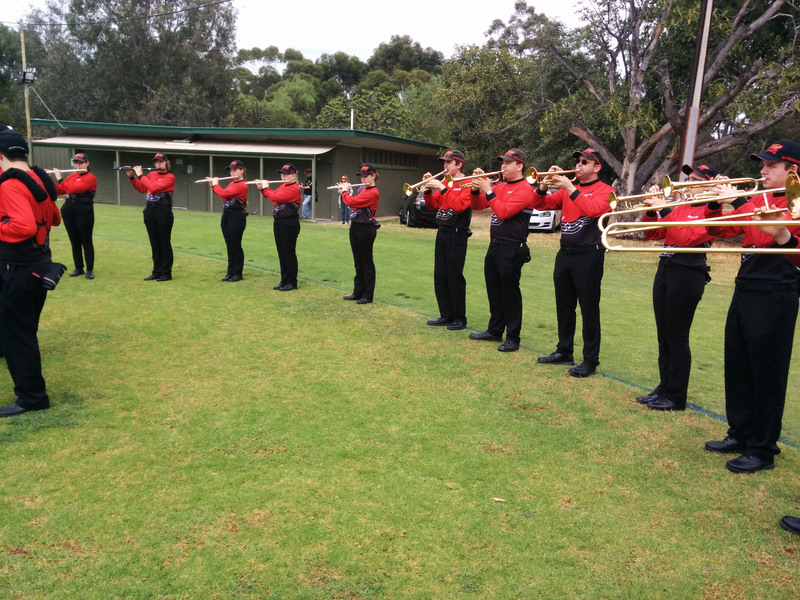 And as we have done for the last 15 years, we rose before the sun to march with the diggers of our local RSL at the Tea Tree Gully ANZAC Day Dawn Service, before venturing into the city to participate in the Adelaide ANZAC Day parade. 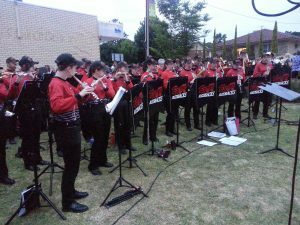 Part of Banksia Park Concert Bands Inc.